Continuing with the great stuff from Scott Farnsworth and Sunbridge Legacy Builder Institute. Here is the second installment in Scott’s series about the power of story-based planning. Again, I don’t usually repost other people’s information, but I’ve got a different audience than Scott does for his blog, and I want this information out in the public. For at least the last decade, the hottest buzzword in the planning professions has been “values-based.” You couldn’t turn around without running into “values-based” selling, financial planning, estate planning, you name it. But what in the world is “values-based planning” anyway? Looking under the label and behind the question is helpful, I believe. In truth, all planning is based on someone’s values, so the question behind the question is whose values? To acknowledge our professions’ dirty little secret, the truth of the matter is that in the “pre-values-based planning era” nearly all planning was based on the professional’s values or, at best, on the values we assumed the clients held. If the professional was selling life insurance, lo and behold, one of the key values was “tax-free liquidity at death.” If the professional was selling living trusts, it was generally assumed the clients valued “avoiding probate,” “reducing estate taxes,” and “distributing the assets” in some orderly fashion, usually in a way consistent with the drafter’s trust templates. If the professional was selling investments, every financial plan was based on the premise that the client wanted to pay for his kids’ college and then retire comfortably a few years before he turned 65. Not surprisingly, every plan a planner created looked strikingly similar to every other plan he created: they were all based on the planner’s values and assumptions, not the client’s. What the term “values-based planning” was trying to communicate was the notion that each client has a personal set of values that ought to be ascertained early on in the planning process and then used to fashion a financial plan or estate plan that was unique – truly unique – to that client. The real question then became, for those planners actually trying to create plans based on client values, “how do you ascertain the client’s values?” At least now the issue was correctly framed. This breakthrough led to the advent of what I call “questionnaire-based planning.” Client values, the planning professions assume, can be ascertained through a cleverly designed multi-page questionnaire. But while “questionnaire-based planning” is far better than its predecessors, it still fails in its primary objective: to develop for the planner and the client a clear understanding of what’s in the client’s heart – the client’s deepest purposes for planning. For that you need story-based planning. In the next installment I’ll outline why “questionnaire-based planning” is merely masquerading as genuine values-based planning. It looks good on the outside, but inside it has no real power to get to the heart of the matter. Original post by Scott Farnsworth. 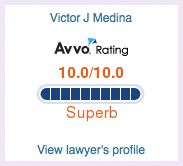 Published on February 24, 2010 on New Jersey Estate Planning by Victor Medina, Medina Law Group.